You’ve made it through the holiday season: the company parties, the seasonal workers, the tricky scheduling, and even the year-end reporting. Navigating the waters of this season as an HR professional is no simple feat, but you made it. 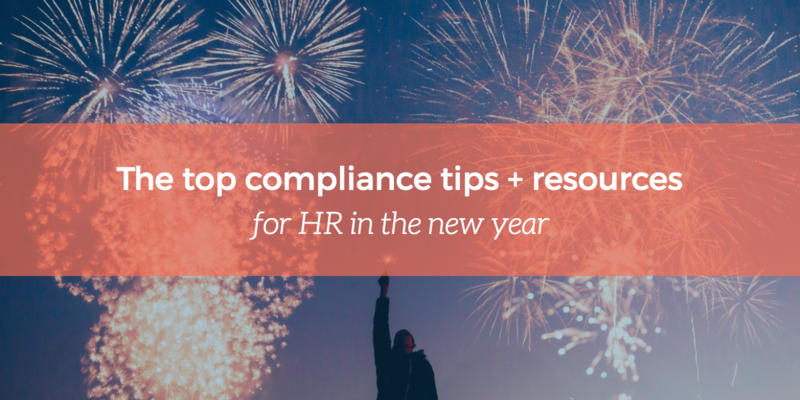 Even though we’ve entered the new year full of fresh starts and resolutions, our days of managing compliance aren’t behind us. Maintaining compliance is a messy and often immense endeavor. 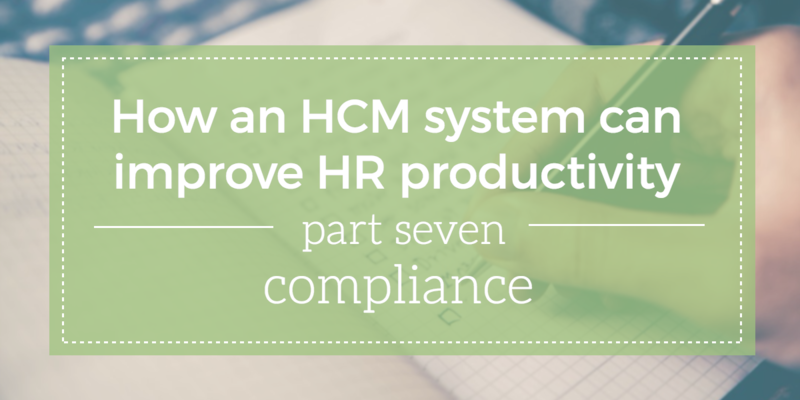 The ever-changing web of regulations and laws have HR professionals balancing benefits management, payroll runs, and leave reporting among other HR policies. At the same time, HR professionals have to stay on their toes with laws like the Affordable Care Act (ACA), the Family and Medical Leave Act (FMLA), Equal Employment Opportunity Commission (EEOC), and more. 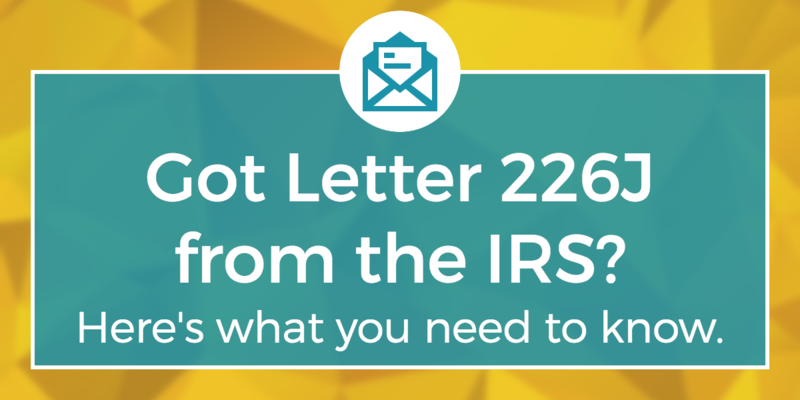 Got Letter 226J from the IRS? Here's what you need to know. At the end of 2017, the IRS began sending Letter 226J to Applicable Large Employers (ALEs) as a proposed assessment of Employer Shared Responsibility Payments (ESRPs) under the Affordable Care Act. If the IRS determines one or more full-time equivalent employees enrolled to receive health care coverage on a government exchange and received a premium tax credit/federal premium subsidy, they will send this proposed assessment letter to the employer. This is the first step in the process to enforce ESRP requirements under the ACA. While the future of healthcare in America has been uncertain for most of this year, the ACA 2017 reporting deadline is right around the corner. After a year of back and forth, we’ve reached a point where we know not much can change on Capitol Hill between now and the looming 2018 deadline. To best manage and report on ACA compliance, there's a lot you need to know about the employer provisions that affect many U.S. employers. As an HR manager, you need to know the ins and outs of these provisions so you can proactively manage ACA compliance in your organization. 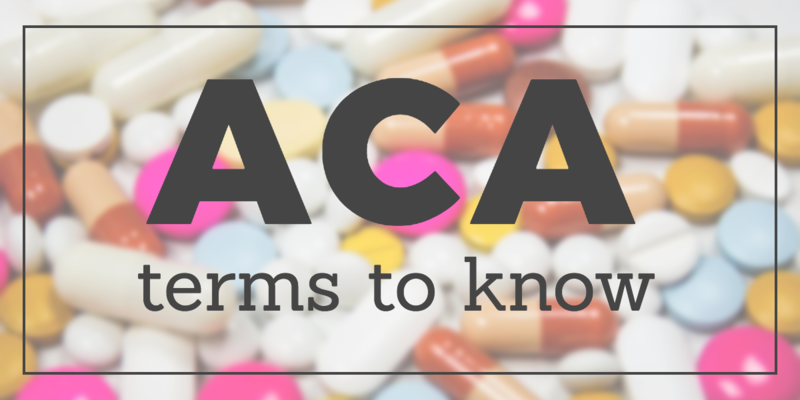 That starts with knowing your ACA vocabulary—what do all those acronyms mean anyway? While it seems a lot is up in the air with healthcare in America, employers are asking about the Affordable Care Act and their responsibilites. While the GOP continues to make efforts to repeal (and possibly replace) the ACA, the current rules remain in place. The IRS is still moving forward with ACA reporting on the 2017 tax year with 2018 deadlines. As an employer, you cannot afford to wait to see how things play out in Congress. The risks are too high. Employers must continue tracking ACA compliance and be prepared for ACA reporting in 2018. 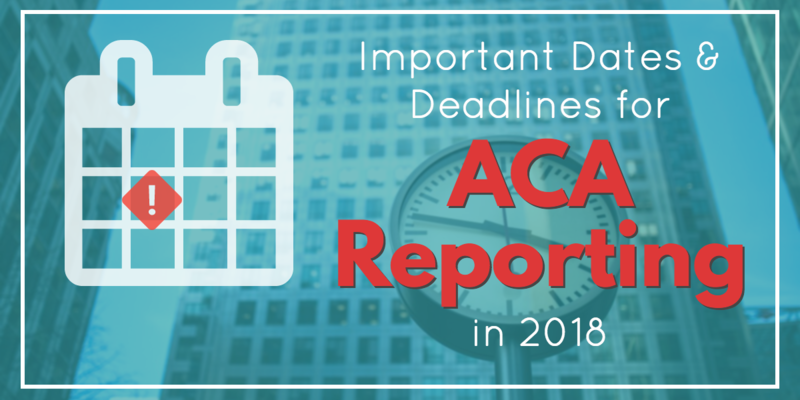 To address some confusion many employers have had surrounding ACA reporting deadlines, we’re giving you the dates Human Resources needs to know about ACA reporting deadlines in 2018.